Summer is coming to a close, but the great offers on new Toyotas at Heiser Toyota Scion just keep getting hotter. 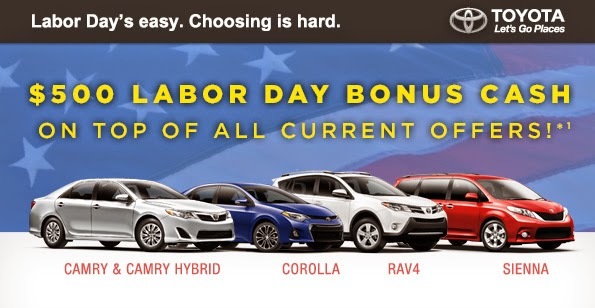 Celebrate your Labor Day early with no monthly payments for 90 days on ALL new Toyotas in Heiser’s stock. Remember, during Toyota’s Annual Clearance Event there’s 0% APR Financing FOR 60 MONTHS on 10 new Toyota models! And our Heiser Toyota sales department is even open on Labor Day from 9:00AM to 5:00PM! So, hurry in this week and choose from our extensive selection before these special holiday incentives expire. It is the perfect time to get into a new vehicle from +Heiser Toyota Scion during Toyota’s Annual Clearance Event. Now through September 2nd, there’s 0% APR Financing FOR 60 MONTHS on 10 new Toyota models! Or, consider leasing a 2014.5 Camry LE for $164/month or the new 2014 RAV4 LE for $184/month--both for 24 months terms. Don’t miss Toyota's Annual Clearance Event. Hurry in to Heiser Toyota today to choose from nearly 400 new vehicles. 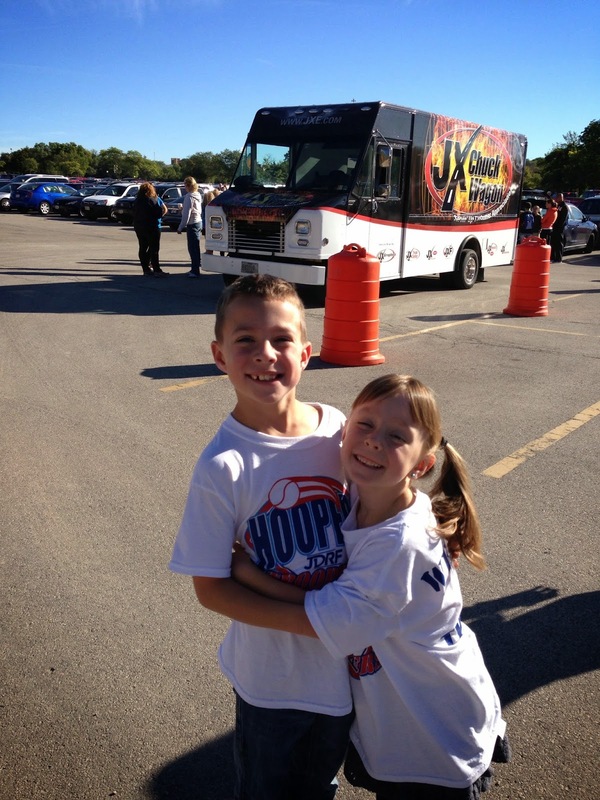 You’ll become a member of our VIP CLUB and experience award-winning customer service! We look forward to welcoming you to our dealership. Summer is coming to a close, but the great offers at +Heiser Chevrolet and +Heiser Chevrolet Cadillac just keep getting better. Come test-drive our most capable line-up of award-winning vehicles ever. And, announcing the Chevy Labor Day Sale, where qualified buyers get 0% APR financing for 72 months plus no monthly payments for 60 days on most Chevy vehicles. Heiser even offers a special discount for teachers, administrators and school employees! When Educators getting GM Supplier Pricing, there’s no reason for back-to-school panic. The Chevy Labor Day Sale ends soon, so hurry to Heiser Chevrolet in West Allis or Heiser Chevrolet Cadillac in West Bend today and find the Chevy that’s perfect for you. We look forward to welcoming you to our dealership. Nowthrough Jan. 2, 2015, current employees of a public or private school, university or college are eligible to participate in the new GM Educator Discount program and receive a significant discount on the purchase or lease of a new 2015 or 2014 +Chevrolet at +Heiser Chevrolet in West Allis, WI and +Heiser Chevrolet Cadillac in West Bend, WI. All 2015 and 2014 Chevrolet models are eligible except the 2014 Chevrolet Camaro Z/28 and Spark EV. For more information about the GM Educator Discount, please visit Heiser Chevrolet in West Allis, WI or Heiser Chevrolet Cadillac in West Bend, WI.